We have sent the specially made sault product (1000 packages containing 100 grams each) to the people in Fukushima this July. We sent them in June, too. We received their reactions. Please see them. (2) I am playing tennis at school (junior high school). I feel hot when I play outside. We will let you know more reactions when we get them. First let us tell you the words of God. All of them should be sustained. Try to build a new world for you. It will be a proof of our future. Yesterday I sent off my wife (Rica) at the Haneda International Airport. After that, I went to visit the River of Fuji (Fujigawa) and the nuclear power plants at Hamaoka in Shizuoka. After taking a short nap at the parking lot, I am heading for the western parts of Japan by car. By noon tomorrow, I am scheduled to reach Kyushu. I am planning to visit Mt. Asoh. I am also planning to visit the nuclear power plants at Genkai (Saga Prefecture) and Sendai (Kagoshima Prefecture). They are all for praying. Then I will go back to Okinawa. After Okinawa, I will be going back to Kyushu and then move to Shikoku. I will let you know more about it later. First let us tell you the words of God told to Rica today. Never forget that there is our land in the sunshine. Never forget that there is our land in the darkness. You have your ground at your place. You have something that sustains you at your place. Walk tight on this land with your mind and heart. On June 16 and 17, we had our good ceremonies at Lake of Yamanaka (or Yamanakako). On June 17, we had a fire ceremony. First it was drizzling. But as the ceremony proceeded, it cleared up. It was indeed very moving and sensational. We could not see Mt. Fuji at the beginning but it showed its beautiful face in the middle of the ceremony. It was very moving. After the ceremony, we had the good time to listen to all the elders. On June 18, we moved to Tokyo. On June 19, we moved to Sapporo, Hokkaido, north of Japan. For Don Alejandro and Ms. Elizabeth Araujo, Hokkaido was the first time to visit. On June 20, we had our gathering (study meeting) in Sapporo. Many people came and joined us. Elder Te Porohau sang a song---“furusato” or “our home” together with the people there. On June 21, we prayed at Mt. Asahidake. When we climbed there by ropeway, it was snowy all around. Both Don and Elizabeth were well ready for the cold but Elder Te Porohau was not. He was strong enough to be in the cold with a summer wear. All of us prayed there. On June 22, we moved to Tokyo from Sapporo. On June 23, we had our gathering (study meeting) in Tokyo. It was the last such gathering this time. All the elders were energetic and talkative. We could learn what has been taught by our ancestors. We could learn the wisdom of our ancestors. What our ancestors left for us are our life, hope and wisdom for living. After this, Don and Elizabeth moved to Narita International Airport for their divine works scheduled in Kyrgyzstan. We would like to thank all the people who helped us complete our gatherings and ceremonies. Thank you so much. First of all, let us tell you the words of God Rica received. People constantly change as well. What we need and what is important for us at the time of change is our torch. This torch has its direction to head for. The below is about our divine works with the elders in June. On June 11, we moved to Kumamoto Prefecture and stayed there. The elders are between 60s and 80s. They needed good rest for the day. On June 12, we wanted to visit Mt. Asoh but we could not make it due to the bad weather. Instead we interviewed the elders. On June 13, we went to Takachiho, the place told to be the place where our ancestors reached this world from the heaven. We found one interesting waterfall. We got in the boat and floated on it. All of us felt the tremendous energy of the nature there. Then we moved to Mt. Asoh. We prayed there. Don Alejandro prayed deeply. All of us prayed for the land in a circle. After this, we moved to Tokyo. On June 14, we moved from Haneda Aiport to Gotenba by bus. Mr.Eon Argaen joined us later. We went to the cave of life. This cave symbolized reincarnation. We prayed there. Then we climbed Mt. Fuji up till the 5th stop. We could see the top of Mt. Fuji clearly. On June 15, we moved to Hakone. We went up to the mountain by ropeway and we could view the whole of Lake Ashinoko. We prayed there. Tomorrow is the ceremony at Lake of Yamanaka (or Yamanakako). Now we are praying around the mainland of Japan. Let us continue our report on what we have done in June. On June 8, we introduced all around our shrine in Okinawa to the invited Elders. They seemed to be impressed to see them all. Both Elizabeth and Elder Te Porohau found the place good enough to be moved. They prayed very hard there. As you see in the photo, after the prayer in the cave, we were surprised to see the group of people who danced the traditional dance of Okinawa. They were good enough to come to the shrine to show their dance and dedicate it to our shrine. After this surprise and good rest, we cleaned ourselves by shower. We were full of mud then. Then we moved to the Naha International Airport. On June 9, we met with Don Alejandro. We had our first fire ceremony at the beach of Akashi (western part of Japan close to Osaka). Don arrived there the night before. We prayed for those who died in the big earthquakes (for those souls of the dead in Kobe in 1995 and in Northern Japan in 2011). In the afternoon, we drove to the Nojima Fault. It is where we can see the split of the land caused by the big earthquake. There is a museum but it was closed when we got there. But we were lucky enough to see the explanation of the disaster at the entrance. All the Elders were so eager to scrutinize the pictures after the earthquake. They saw the actual split of the land and did not talk much about it. They were just gazing at it. On June 10, we had our gathering in Kobe. Many people joined it and we were so glad about it. Elder Te Porohau was good enough to sing a good song. It was a song that tells the story that his ancestors, the Waitaha people, came from all the way from New Zealand to Okinawa and the Island of Awaji (big island in the Seto Inland Sea) by canoes. Ms. Elizabeth Araujo was good enough to talk about the Mayan Calendar and the Mayan People. Don Alejandro talked a lot about the traditional Mayan Calendar and prophecies of the ancient Mayans. We could enjoy nice music and songs then. Don Alejandro started dancing, and so did Elder Te Porohau. Then the people joined us. It was marvelous. Now the below is a message from Elder Te Porohau. understand your feelings about not having heard the translation properly. We are still traveling and will have lectures in Hokkaido, and Tokyo. If you want you can come and hear the changes that we have made so that everyone has learned from this learning experience for all of us. The below is the speech by Elder Te Porohau in Kobe. I send you my greeting as the representative of the Waitaha people and the council of its elders. I am feeling deep love to you from the past, the present and the future. The heart of the Waitaha is filled with joy. First of all, let me send my gratitude to the Nakatani family in Nishi Akashi. The father, the mother and Junko and the two grandchildren---all of them---gave me the opportunity of visiting Japan this time. I cannot be more thankful to them. I also thank the Golden Dragon of Japan. I also thank the Golden Dragon that protected the people from being suppressed and controlled by someone else. We know a lot about the Golden Dragon of Japan. For us Waitaha people, the Golden Dragon is a senior. The Dragon of the Waitaha is the Silver Dragon. The people of Japan have the Golden Dragon. This Japanese Dragon has been kept for long through the Emperors and the people of Japan. Your ancestors have kept it for long. This Dragon made us happy. You Japanese people are the leaders for those called the people of the Dragon. I am so grateful for keeping your tradition. Thank you for it. I will be talking about the wisdom of the ancient people this time. Let me tell you that there is no being that is older than the Dragons. We Waitaha call Dragon as “Malakiho”. The people in Europe take “Malakiho” as an evil monster of bad water. The people in Europe did not have the chance of knowing what the Dragon is. Now they are trying to understand what it is and I am thankful for it. We Waitaha are carriers of water. So we are full of water inside us. The water is falling from ourselves. We Waitaha know a lot about water. We know about the oxygen and the hydrogen. In our words, we have those that refer to molecules and electron. Water has the following power. We have long believed that we can change the world when we take good care of our motherly Earth. In Japan, there are many caves and these caves contain a lot of water in them. We can meet with the Dragons and the spirits there. The water is most important there. We have a lot of water in New Zealand as well. We have poisoned water, acidic water and alkaline water. The most important water of all is the mineral water. Many business firms came to New Zealand to exploit this sacred water. We Waitaha people have tried to keep this water for long. We Waitaha are known as the guardian of water. We are also known as the people who maintain peace. Our ancestors came to Japan and met with the Emperor then. They met with the representatives of churches. Our ancestors tried to register ourselves as one of the international churches that can protect water. We came to Japan to ask for people’s support. In those days, it was not possible for the indigenous people to register the system of the water. So they had to establish their own church to register it. Then they were able to protect the system of the water. In short, they needed the existence of the church to protect the water. Our ancestors came to Japan in 1920s, 1930s and 1940s and got the support of the Japanese people. As a result, our ancestors were successful in preserving the important water system and sacred places of the people of the Waitaha. After we were registered as the representative of the church, four indigenous people were able to join our government. It is what happened at the time that my grandfather was young. Then many good changes have taken place for us. People call is as the information of the ancient times. But how many years have passed since the introduction of the modern technology? It means that the days of the stone were replaced by those of the electricity and propellers. And many people came into the indigenous areas. I was born in 1940s. I have seen a lot when I was younger. I have learned a lot. Now as one of the elders, I am seeing many changes coming up. I am one of the elders who learned from our ancestors and who try to protect our own prophecies. Our ancestors have told us the prophecies that were related to Japan and China. They are the people who know that the world will change some day. Now let me sing one song for you. This is a song made by those who travelled across the oceans from New Zealand to Okinawa and the Island of Awaji by canoes. In the old times, it was necessary to establish a church to register as the indigenous people. This trial was rejected by the Christian churches but they registered their own independent church. It is this church. The founder, Mr. Ratana, sought to find ways to save the indigenous people in New Zealnd. He joined politics afterwards. Let us report you what happened in our divine works in June. Today we are telling you what happened in the beginning of June. On June 5, Ms.Elizabeth Araujo arrived at Narita International Airport in Japan. We were expecting Don Alejandro together with her but we were informed that he would reach Japan a bit later. So we moved to Okinawa together with Elizabeth. We got together with Elder Te Porohau from the Waitaha (New Zealand) in Okinawa. On June 7, all of us prayed from the lookout point near our shrine at dawn. Though it was cloudy and we could not see the sunshine, we did continue our praying. Then we heard from Elder Te Porohau that we were with the Dragons of the Gold and the Jade. After that, we moved to one of the caves guided by the revelation that reached Yoshimaru. This place was full of wild grasses and no one seemed to have visited the place for quite some time. It was wild all over and we walking through such a wild bush. This cave is one of the sacred places in the east of Okinawa. It is the place where the shadow is to be turned into light. It is the place where the natural energy shows its power. When we started to light the candle at the shiny side, Elizabeth told us to light the candle at the neighboring spot. We were lucky enough to find a limestone that symbolizes the feminine there. It was at the shadowy side. When we lighted the spot where Elizabeth asked us to do so, Elizabeth told us that the place is welcoming us. Elder Te Porohau was talking with all kinds of spirits there. When the balance between the Yin and the Yang is stabilized, we can see a better and more stable view of the future. Since all of us woke up quite early in the morning, we finished our pilgrimage in the cave and moved to the sacred places at the back of our shrine. In the afternoon, we were ready to move to Kobe (western side of the mainland of Japan). May 15, 2012 is the 40th anniversary of the Return of Okinawa to Japan from the United States. We would like to thank our associate members for their cooperation on this memorial day. Let us report you that we have completed sending the mask filters that protect people from contamination of radiation to those in the suffered areas. We are feeling the assistance is reaching the people one by one. This one simple deed of ours is the starting action of our promises for our special project. Without the help of our associate members, we could not finish our jobs. Thank you so much for helping us. We have sent 500 sets of the mask filters called “ZEO Mask Filters” (2 of them as one set in one container) as of the end of last week. It was thanks to the help of Mr. Masanao Ikaga, representative of “Mu Dream Union” and specialist of treatment and healing by industrial hemps and Effective Organisms. Thank you for your long lasting assistance. I am grateful to all the helping hands of those associate members of the circle of prayers. I thank you for your offering us the purified materials for our future lives. This time we are informed that all these products will be distributed to as many people as possible through school teachers at Kohriyama city in Fukushima. We owe a lot to all the volunteers of the NPO groups, the City Office and other organizations. They help us distribute our products. All of them are scheduled to be distributed on May 15. I sincerely hope that these masks will help the suffering people inhale the air as much as they wish. Thank you. We will report you how things go later in details. We will be sending you our newsletter every Monday for the ceremony in June. We will try to send you as much information as possible. Now let us tell you the words of God. When you face deadlocks, you may start all over again. When you face many deadlocks, you may start all over again. But see the whole thing more. You may see what you have built falling down and collapsing. Actually all of them have been piled up in you. They are in your heart. They have been accumulated in you. Then they will create the seed of wisdom. Then they will create the seed of richness in your heart. Then they will create the seed of many ways of thinking. Then they will create the seed of something new. It is how the world is going to be created. What is our good future world to live in? How can we create such a future? How can we keep our own lives for the future? First we have to build our own foundation. Then we have to give it to our followers. In this way, we and our followers can get together as one. In this way, we can share our future. We can leave something pure and important for our followers. We can leave wisdom for our followers. We need to make sure that they will be used by our followers to build their future. We need to make sure that our followers will know about them. All of us are born on this star. We do have our own reasons to be living on this star. We are here to keep our lives for our followers. We are here to use our wisdom to do so. We are here to use our knowledge to do so. We have our visions of our good future. Our good visions of peace are in our hearts. We have to carry them with us. Keep your visions for your followers. These visions have been kept for ages from our ancestors. Keep them with this star. Keep them for your followers. Keep them for a good future. What is that we are doing now? The land and the life may be asleep now. The awakening of our life is the awakening of our mind. The movement of the life is the movement of our mind. The movement of our mind is the awakening of the land. Our joint action can protect the land. Nothing comes to us from the horizon as a rescue. It is something we jointly make and produce for protecting the land. We live together and we can do it. What counts is right here on this land. What we should protect is our way, the land and the heaven. What and who can guide us? They are the people and this star. The heaven, the sea and the whole of this star are protecting us. Walk together with all the living beings. What we find important are here on this star, not the heaven. Everything is already with you, deep inside of you. Open the eyes of your minds. Keep polishing the core of your eyes and minds. Your eyes do the talking more than speaking. Awakening makes you hear something invisible. It is different from something supernatural. What is this star of ours? What are our natural environments? What are the living beings on this star? Awakening is to know what we can do. We should not forget something important. We should protect everything living on this star. We can protect them all. Each of us can do it. Each of us can protect all of them. They are something that should stay living for long. Our land will protect us all. Our land will sustain us all. Our land will help us keep all the living beings. Walk together with this land and this star. Give births to many children on this star. All of us are tied together. Keep living with this star. What can we offer to this star? What can we contribute to this motherly Earth? We are the children of this star. Yes, we can see ourselves deep. Yes, we can evolve and try more together. Yes, we can walk ahead more. We should not forget the important way for us to go. We should not lose the important lives of ours. We should not lose this important star. Some invisible beings are telling me to let the people know something very important. Probably we can change the world when we know more about what are important for us. I feel strongly that they are telling us to remember something important for us. They seem to be telling us that we can no longer make them come true when we forget what are important for us. So we should know what are important for us all. Let me tell you more about the ceremony. It is a ceremony to hope to build a better future for all of us and keep all the living beings for the coming days. We have the following three targets to reach. Prayers for the people are not only those praying with their knees down and hands crossed. It means more than that. Suppose everything can be settled or solved by only praying. Then probably we do not have to keep own bodies in this material world. In reality, we are living in this material world. So what are we hoping to see and change in this world? So are we happy in this world of struggles and competitions? So is it that we want to live in the world where all the living beings can live safely? The revelations tell us that we must have the picture of the future we want to live in. The revelations tell us that we must go on the way to such a future. The revelations tell us that we must be aware of our real wishes. The revelations tell us that we must act to make what we are aware of come true. The revelations tell us that all this is eventually the praying itself. In other words, we try to change the reality by getting rid of something we don’t need. In other words, it is something we can make in our daily life in each way. When we go to the supermarket, we can smile to the working women, people who deal with us at the checkout counters, and thanking them for what they do for us. We can thank those people who do important jobs to save lives. We can thank those people who educate children for their independence. These are the times when we can try to change our courses for the future. Many people tend to think that it is hard to live in the world of idealism. Many people are tired of living in the world where the economy and competitions are almighty. Many people are doing things they do not want to do. Many people are making such a system keep operating. We guess that many people are doubting it. We guess that the majority of people are not thinking that it is right. It is probably the voice of the majority. It is the people who have created the whole working system in the fields of service, finance, advertisement, judiciary, administration, etc. Some people thought of such a working system. And it is working. Are they for those who made it? Or are they for those who work for the makers of the system? When you change your ways of thinking, you can probably change everything. You can make something that can hurt people. You can also make something that can heal people. This is the very important key. When you start thinking in a different way, you can change the world. When you start dreaming your future and move to change the world, you can change the world. When you don’t move to change the world, nothing would change. It is that simple. We, members of the action committee of the Fire Ceremony, do have our visions and dreams of our good future. We try to make them come true. We try to help each other, with respective minds of responsibility, for the ceremony. We need all kinds of people who can help us with this ceremony. Painters, composers, praying people, dancers, singers, stage-setters, fire-guardians, cooks, people who answer people’s questions, people who come and join the ceremony—we need all of them. This ceremony is possible to hold with the concerted cooperation of all of them. Let our descendants see what we do now 1000 years later! Holding this ceremony is making our future. It is the same thing. The size of this ceremony is getting bigger and bigger each day . We need the helping hands from as many people as possible. We can help each other now. It is beyond our personal gains or losses. This is our basic idea. We are praying together to make this ceremony a wonderful one. The Lake of Yamanakako, at the foot of the Mt. Fuji, will be the place for joint prayers soon. All of us are volunteers. Soon the people living in the neighboring villages will come and visit us with some foods they prepare. They may bring traditional Japanese lanterns to make the Lake of Yamanakako look beautiful. Probably the whole place will be full of lanterns. And all of us will be smiling and laughing all together. This is a tremendous energy itself. It may be transmitted to other areas soon. It is the energy coming from the hearts of all the participating people. All the smiles and laughing voices will reach many places over the Mt. Fuji. They may reach the world of the invisibles. We may see some messengers coming to us for some help. The power of the individual may be a small one. But when they get together, you will see a huge power. It may reach the heart of some being that we people cannot see now. We are not just waiting for it. We are preparing for it. We are preparing ourselves for our future. We are going our way one by one and step by step. This is the basic idea of this ceremony. When our descendants see what we do now one thousand years later, they may be seeing such a difficult world to live in. Let us send them our messages now. We are planning to hold important speech/lecture meetings inviting three important guests from abroad. They are Don Alejandro Cirilo Oxlaj and Ms. Elizabeth Araujo from Guatemala and Mr. Te Porohau, chief of the Waitaha People of New Zealand. We are very lucky to have the opportunities to listen to these three important people face to face. They rarely meet at one place together. We are extremely lucky to hear them together. Don Alejandro will be talking on the future of the world. It is not only about South America or Japan. He will be talking about the prophecies and teachings of the traditional Mayan leaders and the Mayan Calendar. This is the best opportunity of hearing what is true about the Mayan Calendar from the very person who has kept and maintained the traditional teachings of the Calendar. Ms.Elizabeth Araujo will be talking about the importance of the roles of women in the activities and ceremonies for peace building. Mr. Te Porohau will be talking about his activities in general and the water in particular. Usually we have asked a few translators to translate Spanish to English and then to Japanese and the other way round. But this takes more time than we expect. This time we ask the translator/ interpreter to translate Spanish directly to Japanese and vice versa. We will be very careful in the way the original Spanish words will be translated into Japanese language. We will do our best to try not to mislead the original messages in Spanish. Please join us at these meetings. The seats have their limitations. Please reserve your seat in advance. Please hit the below. You can reserve in it. What is important for you now? What is important for you tomorrow? What is important for you in the future? What do you think you have to leave for this world? What do you think you have to keep for this world? There are many, tangible or intangible, that you have to keep. Keep them now and leave them for the future. I have finished my morning prayer at 7:15 am. Today, Rica Higa, my wife, will be holding a joint prayer from the shrine in Okinawa at around 4:30 pm. You can see it on our TV channel. So please join us and pray with us. As for myself, I have been praying around. I prayed in Chiba, close to Tokyo. I prayed in Kanagawa, close to Tokyo. I prayed in Shizuoka, center of Japan facing the Pacific Ocean. I had to stop at places for rest. I took many naps. After I wake up, I just go somewhere for praying. I am repeating this cycle of deeds. 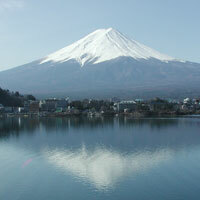 I will be going to close to the Fuji River and many lakes. I will be talking about what I went through at the forthcoming study meetings. I will be telling you more about it in details in the blog later.